Flip a coin. If heads, Wazowski opens the door, silently crawls, and jumpscares your opponent's Pokémon with his ugly face so loud that it died from heart attack! 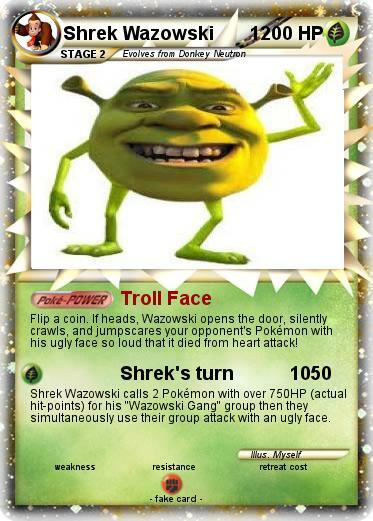 Shrek Wazowski calls 2 Pokémon with over 750HP (actual hit-points) for his "Wazowski Gang" group then they simultaneously use their group attack with an ugly face.